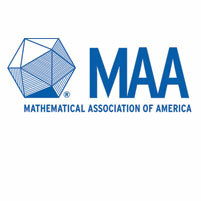 Carnegie Mellon University placed fifth in the Mathematical Association of America's 75th William Lowell Putnam Competition, the premier mathematics contest for undergraduate students. The fifth-place ranking reflects the scores of the three students selected to be on the Carnegie Mellon team, Linus Hamilton, a junior in the Dietrich College of Humanities and Social Sciences’ affiliated Science and Humanities Scholars Program (SHS), and sophomore mathematical sciences majors Thomas Swayze and Samuel Zbarsky. Additionally, Carnegie Mellon had 55 students who scored among the top 507, the second most of any university. At the competition, 4,320 American and Canadian undergraduates from 557 institutions participated in the competition. The students were given six hours to solve 12 complex mathematical problems using a combination of creative thinking and concepts taught in college mathematics courses. Results were just sent to participating universities.